Cherry Tree Country Clothing goes walkies again! At Cherry Tree Country Clothing we’ve recently enjoyed another fantastic walk which we would like to share with you! Another “must see” is Waun y Llyn Country Park situated between Caergwrle, Coed Talon and Llanfynydd in Flintshire, North Wales. There is a small car park up in the hills just outside Caergwrle, (one of two car parks available) designated for those wishing to enjoy Waun y Llyn Country Park and its surroundings. This little car park is ideal for “unloading” your dogs or to put on your suitable, safe and comfortable walking footwear and clothing to suit the conditions and elements of the day. 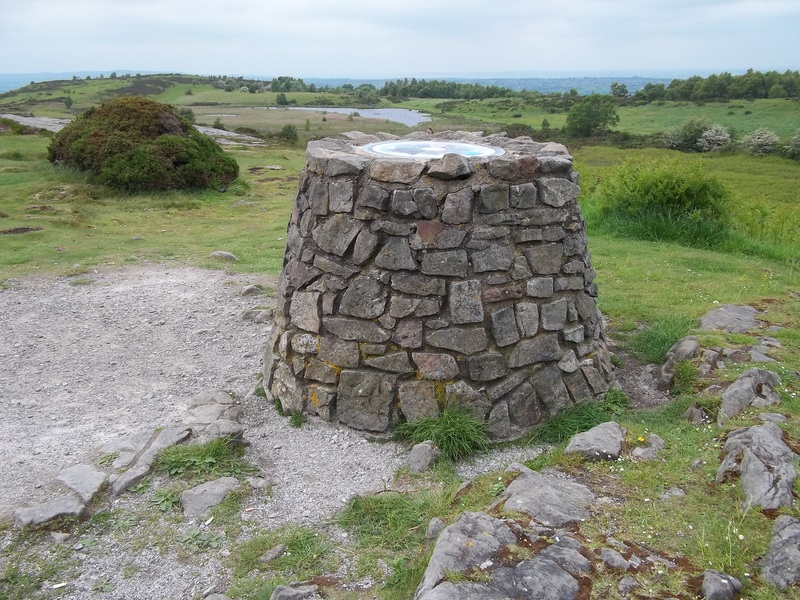 You may be disappointed if you don’t visit the stone “Toposcope” which is just yards from the small car park. 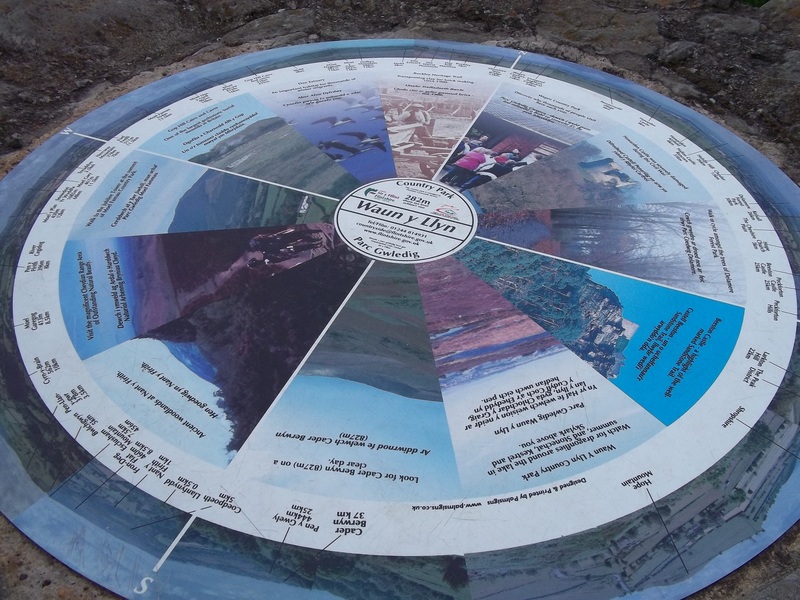 A plate on top of the Toposcope informs of other points of interest in the locality such as Moel Famau and even Bwlchgwyn, the official highest village in Wales (where Cherry Tree Country Clothing was born) has a mention on this plate. The views at this point are outstanding and on a clear day (as the plate on the Toposcope indicates) even parts of Liverpool and other distanced areas are visible! There’s lots of history to consider too! The Waun y Llyn area was once a hive of industrial activity with coal and silica stone being mined and transported to other locations via railway, the tracks of which are still identifiable in places. As the walk progresses, there is evidence of the quarrying that once took place providing employment to the local area. Whether you fancy walking, riding or cycling there are sections of this walk that will appear to you! So, go on, give it a try! Check out SJ 286577 or SJ 269589 for the location of the car parks. Enjoy the countryside and the great outdoors!